I recently added the K&N Cold Air intake and the Borla S-Type cat back exhaust and my 2016 QX80 flies. The stock 400 HP is always great and quick but my Dyno tested and proven 477 HP flies..... I mean it flies..... It's so quick off the line I cant stand it and it sounds like a bona fied race car outside but the interior noise isn't bad at all and still feels like a quiet premium luxury car on the freeways. I had to do some creative shipping to get the CAI in California but it was totally worth it added with the Cat Back Exhaust. 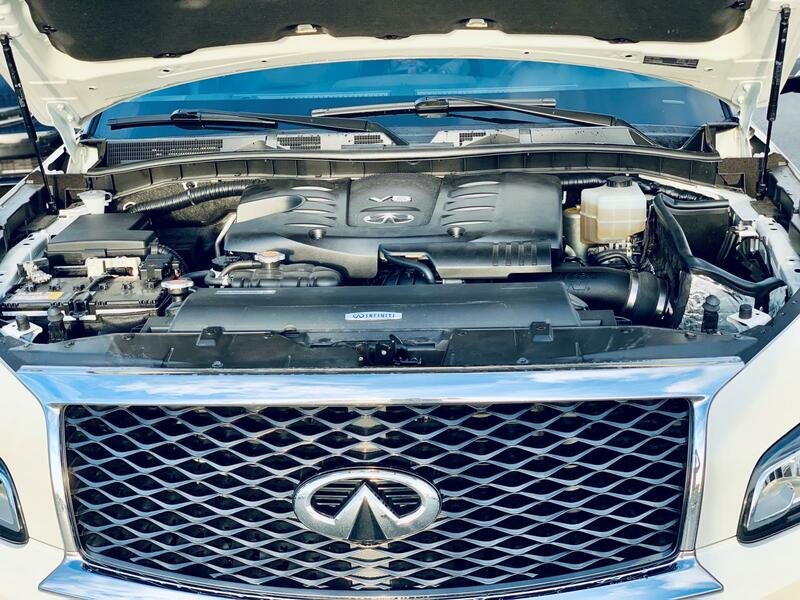 This upgrade idea started after I traveled to Australia and was talking to 4x4 guy about his NISSAN Patrol (Same car as the QX) and prior to my upgrades I was routinely getting 14MPG as my daily driving commute City/Highway running 91 Octane gasoline. After I installed the CAI and the Borla I now get 18MPG City/Highway. The engine breaths much better and my Aussie friend was spot on about the power difference as well. All in I spent $1,500 on the CAI and Borla fully installed and I will make all that back with the MPG increase and really recommend this to anyone who enjoys being thrown back into their seat and smoking all other trucks off the line. The pissed off look I get from guys driving Ford Raptors is priceless. Did you get an Uprev tune? Following along. Love more performance and MPG. Do you think you would get much gain from just the intake alone. "Running 91 Octane gasoline. After I installed the CAI and the Borla I now get 18MPG City/Highway. " Where do you get them do they need to be installed by a dealer? My gas milage is terrible even though we use Premium gas, and had the transmission flushed and the fuel injector system cleaned at Infiniti. 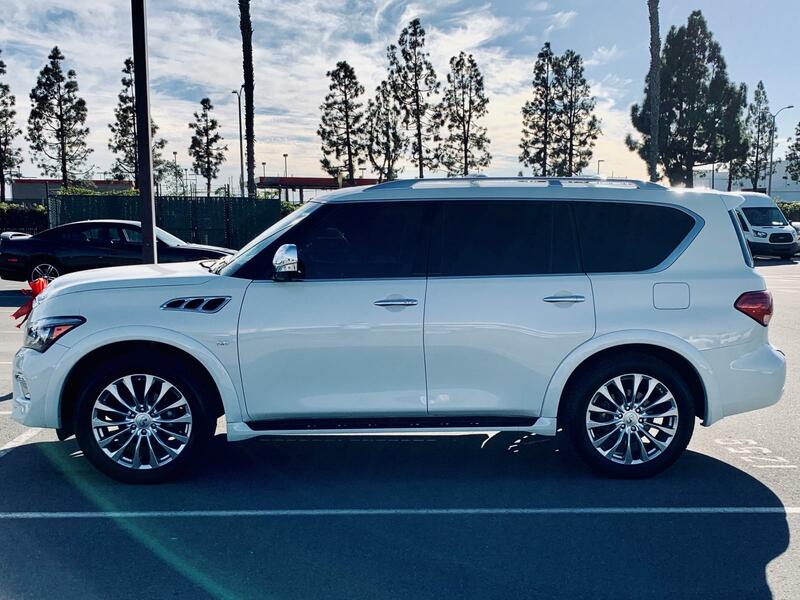 Any other issues or solutions for the QX80 would be appreciated. What is an Uprev Tune? I have not done the UpRev tune yet as the car only has 15k miles on it and that's the one piece that would void my warranty. 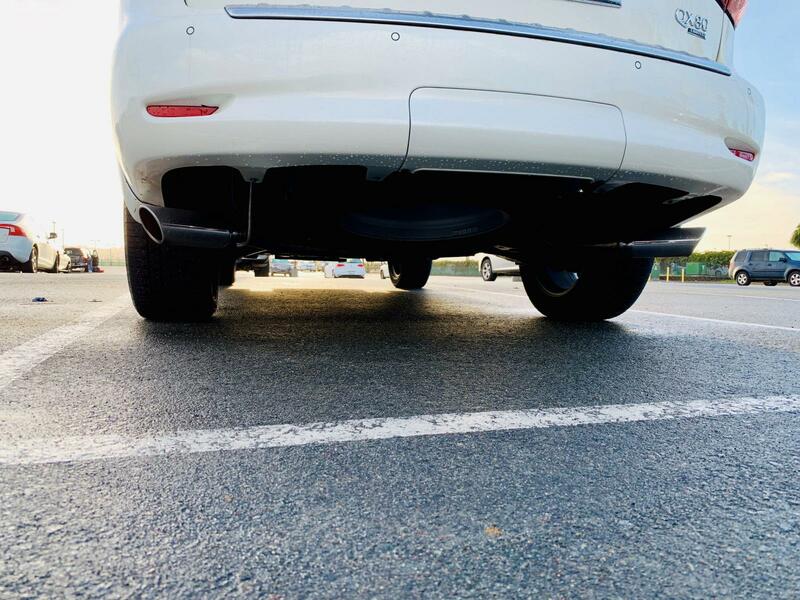 The Borla "Cat Back™" name implies the exhaust system is located behind the factory catalytic converter where there factory emissions remain untouched and vehicle stays emissions compliant. This remains distinct from the Axle Back exhaust system that is located behind the rear axle. Alex Borla coined the phrase 'Cat Back' and introduced the Cat Back performance exhaust in 1978, a bolt-on replacement performance exhaust system requiring no welding, thus being secured using the factory hanger locations. An engine is an air pump, and BORLA's exhaust system allows the engine to pump and flow more uninterrupted air. The actual horsepower increase depends upon the fuel management system's ability to provide the right amount of fuel to match the extra air flow; 5 to 15% increases are not uncommon. Under racing conditions, The Borla exhaust's actually make more horsepower than an open exhaust! 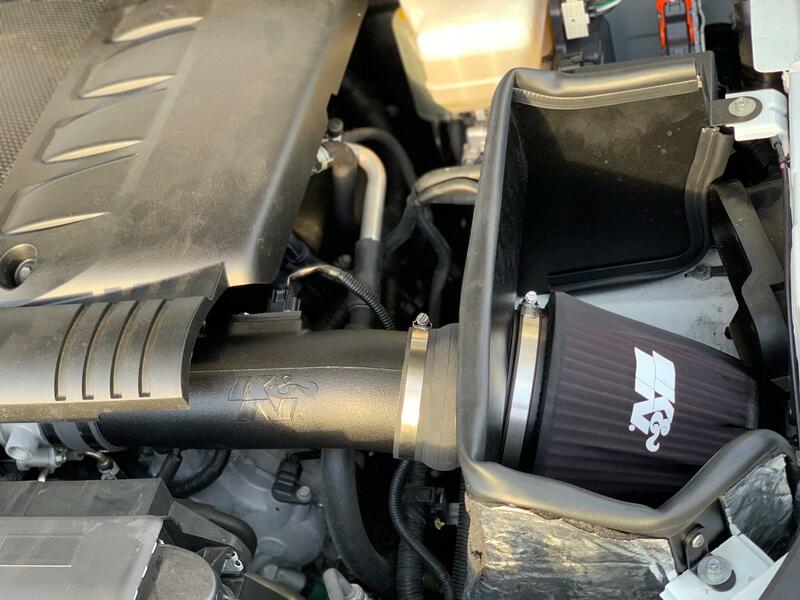 K&N performance air intake systems are designed to create a more aerodynamic path for airflow by removing stock intake tubing that can create excess turbulence, and by utilizing highly airflow-efficient filter media. Air first passes through a performance air filter—which is designed to provide more airflow than a standard disposable paper filter—before moving through an aerodynamically-engineered tubing system that helps keep airflow cooler and also helps provide a higher volume of air to the engine. Cold air is more dense than warm air because it contains additional oxygen molecules—allowing the cylinders to facilitate combustion more efficiently. A factory air intake often features tubes and baffles designed to muffle sound and typically feeds warm air to the cylinders, while K&N® performance air intake systems are designed to provide a smooth, unimpeded path for the airstream—keeping the airstream cooler and more oxygen-dense. With a K&N performance air intake system, you get a guaranteed increase in horsepower and torque. The Wheel Horse Power has increased dramatically from these 2 upgrades. Understand that the 400 HP advertisement on these trucks is the flywheel HP not the wheel to surface HP as manufacturers always put the highest HP down to sell vehicles. But you can easily get over 400 HP wheel to surface with these 2 upgrades and I'm sure even more with the Up Rev tune. Also, You can order both these items online from Borla and K&N (if ordering to CA you need to send to another state then drop ship) and go to any dealer or shop and they will install. The K&N comes with super easy do it yourself instructions and any one with zero mechanical background can do it. I’m really interested in how you calculated the increased mpg before/after the upgrade. $1,500 in CAI and exhaust seem doable(not sure if the neighbors would like the additional rumbling noise though) but any help with MPG is welcoming. We knew this truck isn’t great on gas and okay with it. I’m adding both items to my amazon wish list if it can help me do better then 10mpg in city driving. The MPG is just the display on the center gauge before and after.